With the Vax U84-AL-Pe, you don’t have a vacuum that excels at any one thing in particular, but it provides effective results on just about every job. The lift away cylinder makes it especially good for cleaning the stairs and areas that are high off the floor, and it seems to be a very reliable machine. As an affordable, well-rounded vacuum, this model is a great value. 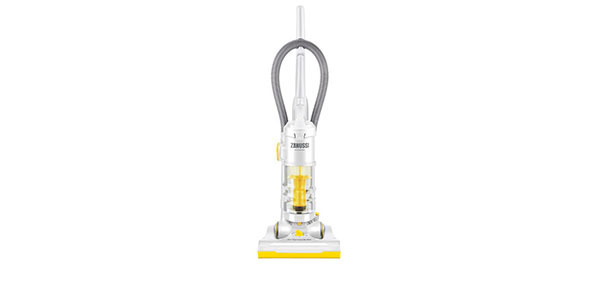 The Vax Air Lift Steerable U84-AL-Pe is a versatile vacuum that comes at a good price. It comes ready to vacuum the entire home, plus it has one of the more user-friendly designs that you will find. In addition to that, this machine is very efficient and it does well on dust emissions – scoring and A rating in both categories. Whether you are trying to clean on hard floors or carpets, this is a machine that can get the job done. The U84-AL-Pe has multi-cyclonic suction that is powered by an 800W motor and it has a brush bar that helps to lift dirt, debris and hair from the carpet. 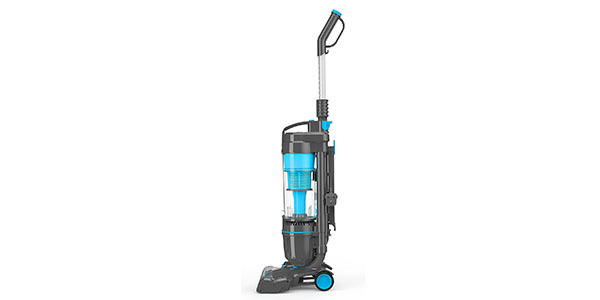 You get good suction from this vacuum and the machine delivers consistent cleaning power. Ease of use is an area where this model scores well. It weighs about 6.2kg, so it not the lightest machine out there, but it is very easy to handle. It has a head with dual-axis steering. As you work, the vacuum is very easy to handle, and it moves around objects with no trouble. You also have a nice long cord that provides the user with a large operating radius. The only issue that some users may have with the ease of use is that the detachable tube is a bit on the short side. However, this is where the lift away canister can help you out. The user can lift the canister away from the body to carry it with them as they clean. As a canister, it only weighs a little over 3kg, so it is nice and light. You can easily do your stairs in this mode and it will be helpful when you need to clean up near the ceiling. With the tube and wand, you can work from the machine on its base or you can use it as the lift away canister. You also have some tools that can help with the above the floor cleaning. It has a 3-in-1 combination tool for crevice cleaning, dusting and upholstery. All of these tools do the jobs that they are supposed to, but it would probably be better to have separate tools for these jobs. As a nice extra, it also has a turbo tool. The turbo tool works great for removing dirt that is deep in the carpet and it even does a good job on pet hair. For care and maintenance, this vacuum is alright. This is a bagless machine with a 1.5L capacity, which is about average for the modern upright. The bin is easy to remove and empty and it goes back into place without trouble. With its A rating for dust emissions and HEPA filtration, this is a vacuum that could work well for people that have allergy problems.